This Yamaha YZF1000 Thunderace repair manual covers repairs for all known issues and problems relating to the YZF1000. This manual is available for instant download and is available in PDF format, so will be accessible to most operating systems, including MS Windows, Linux and Mac. 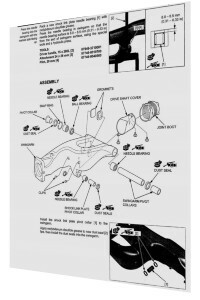 This Yamaha repair manual contains thousands of detailed pages that contain thousands of images, text and photographs that will walk you through the most complex of repair, service or troubleshooting scenarios, the YZF repair manual will allow you to follow step by step instructions that will be an aid to any project no matter how large or small. As previous stated this manual covers all know aspects of repair including but not only – Fault Diagnosis, Maintenance, Engine, Clutch,Gearbox, Fuel System, Ignition System, Frame, Forks, Final Drive, Rear Suspension, Wheels Brakes, Tires, Electrics and Wiring Diagrams. By clicking the button below and downloading this fully comprehensive repair manual, you will have full access to the largest collection of data available for the Yamaha YZF1000 Thunderace, ultimately future proofing all unforeseen repairs or services you may need in the future. Are you looking for a BMW S1000RR Repair Manual? If so you have come to the right place! This repair manual contains thousands of detailed pages that contain thousands of images, text and photographs that will walk you through the most complex of repair, service or troubleshooting scenarios. The BMW S1000RR repair manual will allow you to follow step by step instructions that will be an aid to any project no matter how large or small. By clicking the button below and downloading this fully comprehensive repair manual, you will have full access to the largest collection of data available for the S1000R, ultimately future proofing all unforeseen repairs or services you may need in the future. As previous stated this manual covers all know aspects of repair including but not only – Fault Diagnosis, Maintenance, Engine, Clutch,Gearbox, Fuel System, Ignition System, Frame, Forks, Final Drive, Rear Suspension, Wheels Brakes, Tires, Electrics and Wiring Diagrams. This manual is software based and will only run on Microsoft operating systems, please check before purchase. The languages available for this manual include English, French, German, Italian, Spanish, Dutch, Japanese, Greek and Portuguese. 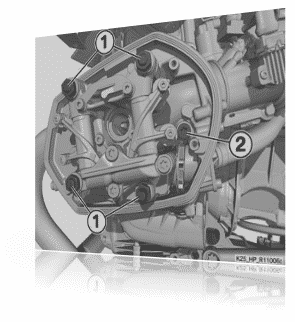 This manual is also available for the BMW S1000RR HP4 motorcycle. Are you having BMW K1600GT Problems? Are you having BMW K1600GT Problems? If so you are not alone as this model of BMW is not without it’s faults. That said the BMW K1600GT is still one of the best motorcycles in its class. 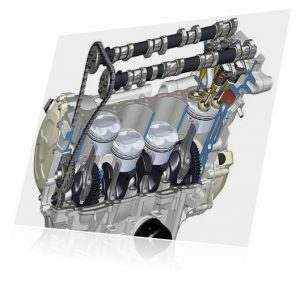 The K1600GT main problem area is around the fuel and electrical system, the primary issue owners have is around the fuel pump not being efficient enough and this causes the K1600 not to perform to its full potential, there are several known solutions for this issue, but upgrading the fuel pump is probably the best option. If you would like to know more about replacing a fuel pump on your BMW K1600GT, or want more solutions to common BMW K1600GT problems, consider downloading the BMW K1600GT workshop manual. The manuals are the official publications that the BMW dealers use for repairing and servicing their customers motorcycles. The official workshop manuals allow you repair and service your bike, potentially saving you a considerable amount of time and money. If you are constantly having BMW K1600GT problems, but still love your motorcycle, downloading this repair manual can help you get your pride and joy back to full health. Enjoy hundreds of detailed pages or photo’s, pictures and text that will hold your hand and take you step by step through the largest of projects. Areas covered in this BMW K1600GT manual include but not limited to : General Information, Periodic Maintenance, Fuel System, Cooling System, Engine Lubrication System, Engine Removal & Installation, Crankshaft & Transmission, Wheels and Tires, Brakes Suspension and Electrical System. If you are wanting to change how your ride feels, or is your VFR1200F rocking back and forth when you ride over bump or potholes, to resolve this common is would be to to alter the Honda VFR1200F suspension settings, but this may not be the only way to resolve this problem. The irritating rocking can be due to a multitude of things not just the suspension settings, for example if the tyre pressure is too high or too low depending on your body weight and ride style, this maybe the answer to this problem, consider inflating the rear tyre to 42 PSI and the front tyre should be around 36 PSI. But if you have checked the correct tyre pressure and the problem persists and you are sure it has something to do with the suspension setting, the settings are Front rebound ( 6 clicks out from full stiff) Front preload (2 lines showing), Rear rebound( 3/4 turns out from full stiff), Rear preload (11 clicks from full soft). 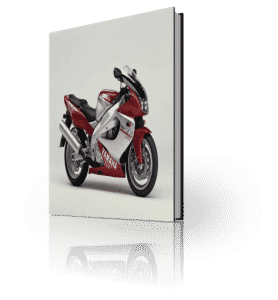 For more information on setting and servicing the Honda VFR1200F consider downloading our Honda VFR1200F service manual PDF, it comes with hundreds of pages of images, text and photos to get your bike back on the road. Why pay extortionate repair bills, when this instant download manual can give you step by step instructions to get you through any project, be it an oil change to an engine rebuild. If you are in need of suspension or any other part such as Honda VFR1200F brake pads, tyres or even if you are looking for some Honda VFR1200F genuine accessories, please take a moment to check out Demon Tweeks, they are one of the largest motorcycle parts and accessories suppliers in the UK. Download the Honda VFR1200F workshop manual or click the buy now buttons below to future proof all your VFR1200F and VFR1200F DCT problems. The BMW R1200GS Adventure like any other motorcycle or car, there are a number of issue that can arise, by downloading the official BMW R1200GS Adventure workshop manual, these problems can easily be addressed. 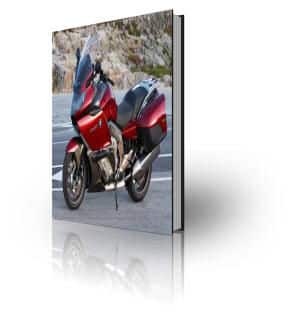 This fully comprehensive manual covers all know aspects of repair for the BMW, thousands of pages of text and images to help aid you in getting you motorcycle back on the road. These official workshop manuals are the same manuals that your BMW dealer uses, they are very in-depth and have simple step by step instructions for any size of project. This manual can help out with common problems such as piston failure, fuel leaks, engine noise, shaft drive leaks and grumbles, switchgear failures, leaking water pumps, screen repair and replacement, bearing damage and repair on the front and rear, and much much more. It’s safe to say repairs on BMW motorcycles can be a little pricey, that said most of the costs lie in labour costs, by downloading this official BMW R1200GS Adventure workshop manual you can eliminate most of the hefty bill. 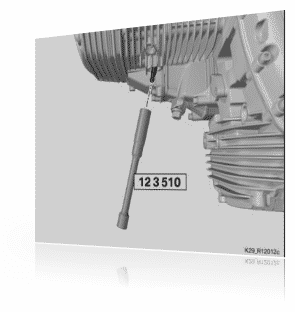 If your R1200GS Adventure has a minor or major problem, or you are just wanting to service your bike and need to know a specific measurement, this workshop manual is the answer. This manual has been developed for the Microsoft Windows operating system, so please make sure you have access before purchasing. 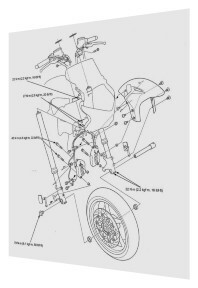 The official BMW R1200GS Adventure workshop manual Contains: Exploded diagrams for parts, comprehensive technical specifications, detailed images, parts information such as identifiers, special tool requirements, comprehensive torque settings, electrical system information, wiring maintenance schedules plus so much more. By clicking the buy now button below you will future proof your pride and joy, by eliminating any repairs or servicing costs.